The Design Pro license has the most advanced design functionalities, including the 3D Layers, the Multi-curves Edition and the 2D exports (compare features). Automatic fitting of the curves on guidelines. 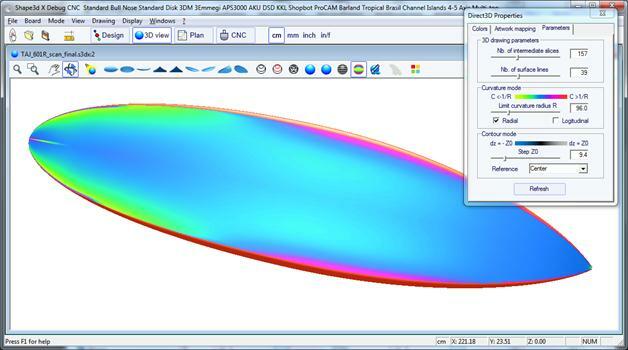 Buoyancy line of the boards, with immersed volume distribution. 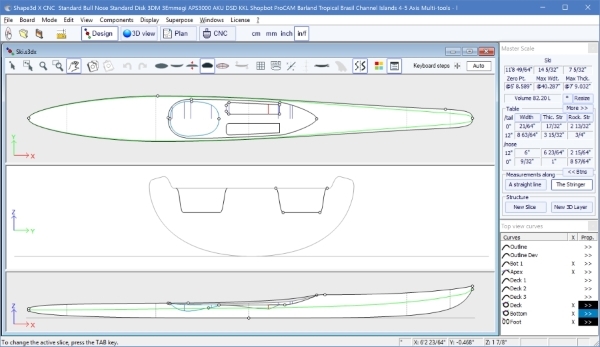 2D Export of the outline, stringer, profile, deck and bottom surfaces, and slices one by one in the Text, DXF, IGES and PDF formats. Export of Hollow Wooden board plan in the DXF, IGES and PDF formats. 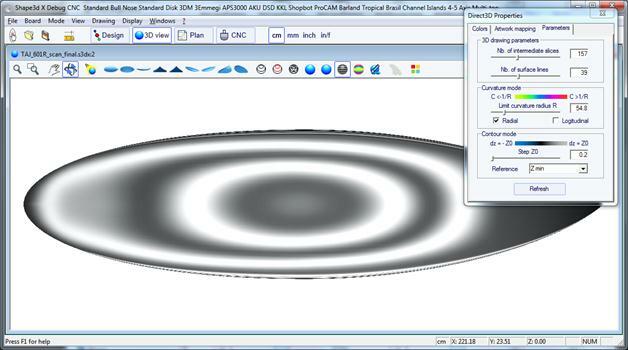 3D Curvature mode that shows the curvature variations with color changes. 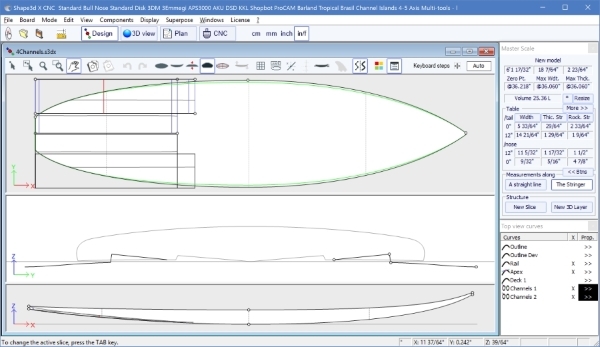 It is a very usefull tool to see the evolution of a concave or V on the bottom of a board. 3D Level lines mode the shows stripes with fixed height steps. This other tool is very usefull to see the evolution of the depth of a concave or a V.
The second most important new feature of Shape3d X is the possibility to add or subtract shapes to a board. These shapes are called 3D Layers. The 3D layers can be added to the deck or the bottom of the board. 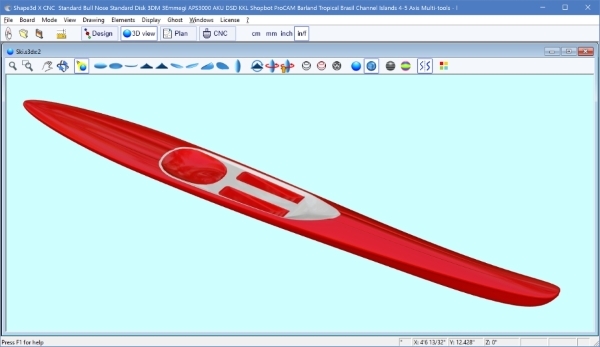 The 3D layers can be saved in a separated file, and then loaded in another board file. One of the most important new feature of Shape3d X is that each curve can be Edited or not in the Top and/or the Side view. 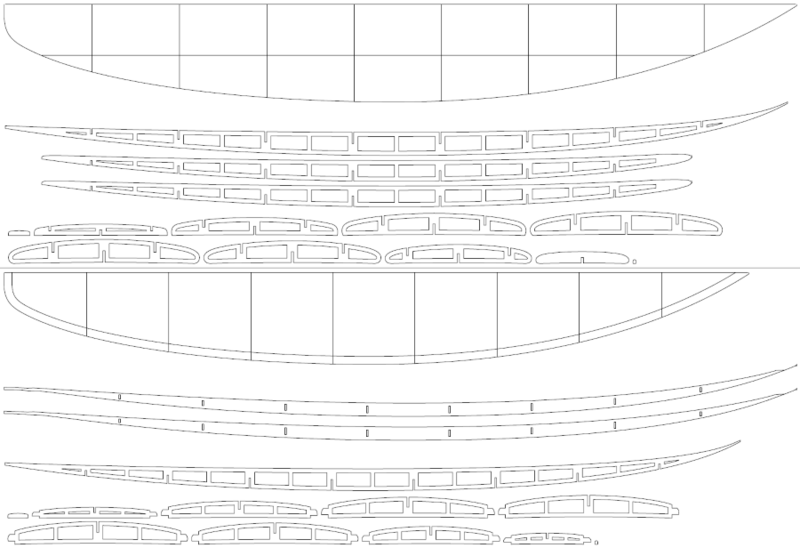 For example, in the Side view, one can choose to edit the Bottom and Deck Stringer curves, but also the Rail curve at the same time. 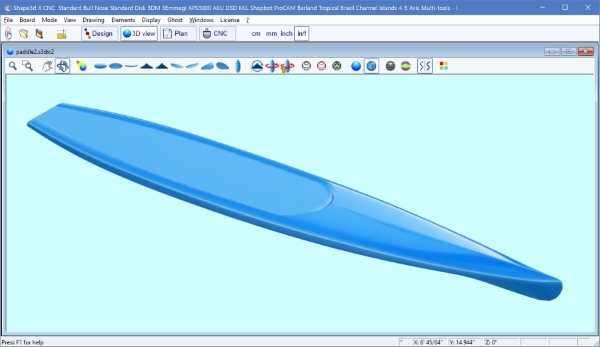 It gives a complete control of both stringer and rail and let the other curves be computed by Shape3d. 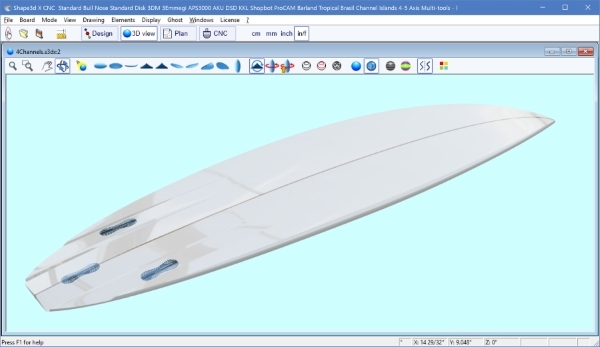 Editing Rail line and Stringer line in the side view allows controlling exactly the depth of the concave or V of your board. 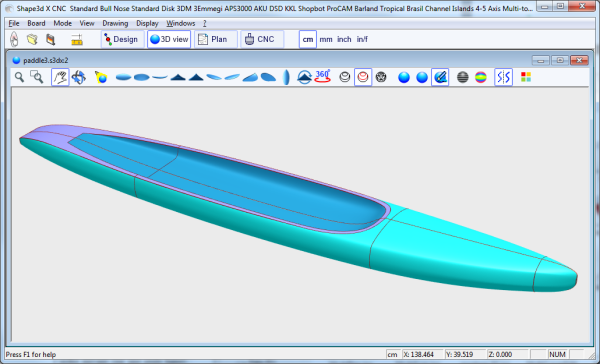 You can also edit the Apex curve in the Side view, which can be very useful on some shapes like paddle boards. 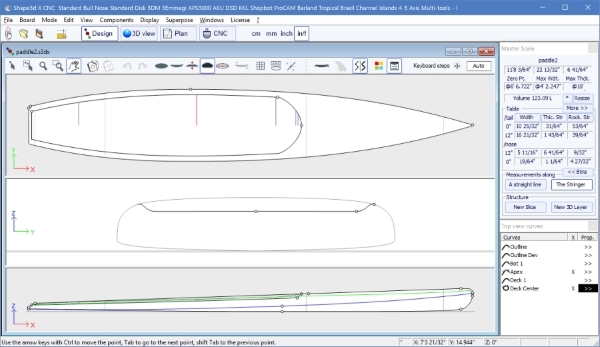 You can also edit several of the bottom curves on the Top view to control the shape of the channels of a board.